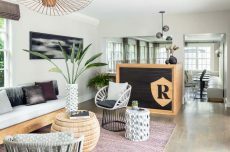 Edgartown’s gorgeous trio of boutique hotels (The Christopher, The Sydney, and The Richard) will expand late summer 2019 with the reopening of The Edgartown Inn following a complete interior rebuild and redesign. 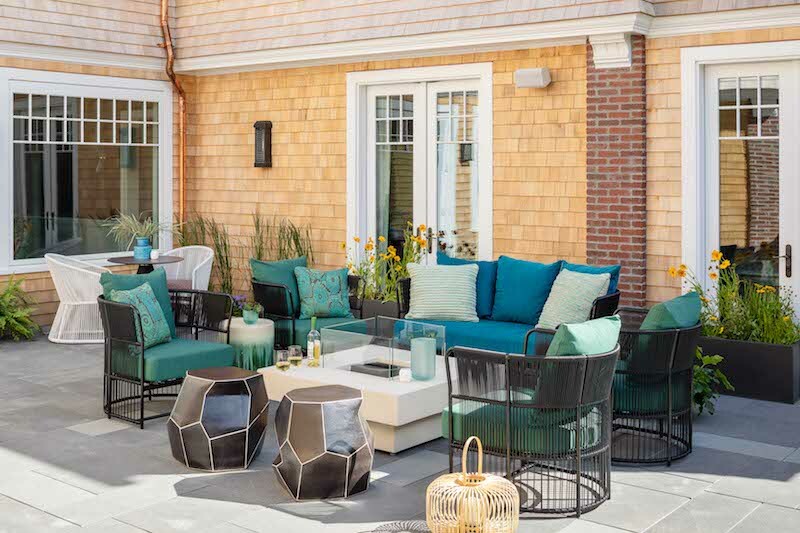 This will make a total of four properties in Lark Hotel’s collection of Edgartown boutique hotels—each with its own unique design style. Whether you’re looking for a regal retreat, a natural relaxed escape, or a cool coastal vibe, Lark has an Edgartown inn for every discerning Island visitor. Following a total renovation in 2018, this 16-room boutique Martha’s Vineyard hotel (formerly the Point Way Inn) is fit for a king. Located at 104 Main Street, its luxurious furnishings, sophisticated finishes, and subtle coastal details create an exclusive yet cozy private escape. With the addition of a brand new building last year, The Sydney is now the perfect marriage of historic and new in the hub of Edgartown. Featuring eight stylish rooms in the original Captain’s House at 22 North Water Street and an additional 14 in the new building, The Sydney is a refreshingly modern take on a traditional Island hotel. Relax and unwind in the laid-back style at The Christopher (24 South Water Street), a fully renovated 15-room boutique Edgartown hotel with a calming St. Barths vibe. The fire pit and lounge seating in the serene and secluded courtyard call for intimate gatherings on cool spring, summer, and fall nights. COMING LATE SUMMER 2019: The Edgartown Inn (56 North Water Street) draws on inspiration from the Vineyard’s farms and gardens, bringing in touches of greenery, natural tones, and rustic textures into the hotel design. Just steps away from all that Edgartown has to offer, these 12 intimate, airy guest rooms provide a cozy, comfortable, and laid-back escape. For those more social times, the inn’s large porch and bright farmhouse kitchen are the perfect place to enjoy a cool drink or tasty treat. The Christopher, The Sydney, and The Richard open for the season May 2019 and the newly renovated Edgartown Inn will follow with a grand opening later this summer.